Ever come to check how your device is charging only to find it has been unplugged and someone else is using the plug socket? 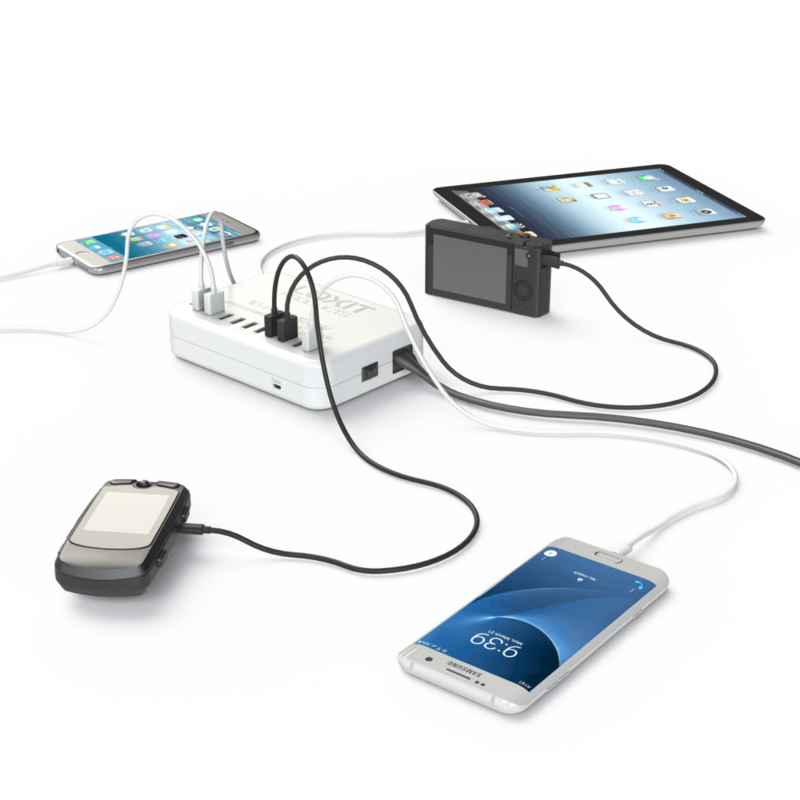 Now everyone can charge their devices – at the same time. With just one mains plug socket, you can charge 10 devices via USB. Perfect for the home or office where a mix of devices need to be charged and devices sometimes need to sync or data transfer. So declutter all those adapters with just one stylish high powered 10 port USB charger that allows a mix of devices to be charged all at the same time. Delivers up to 2.4A per port for high speed charging. 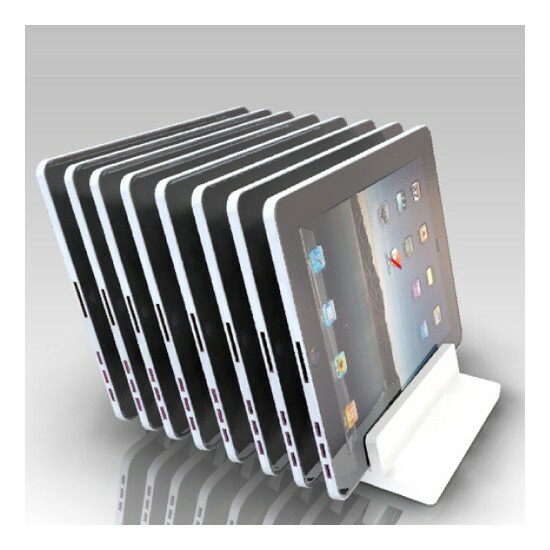 Charges your phones alongside iPads and iPad minis, digital cameras, 3D glasses and GPS devices etc, all at the same time. With 4 of the charging ports also capable of sync, simply connect your devices to transfer photos, data etc. 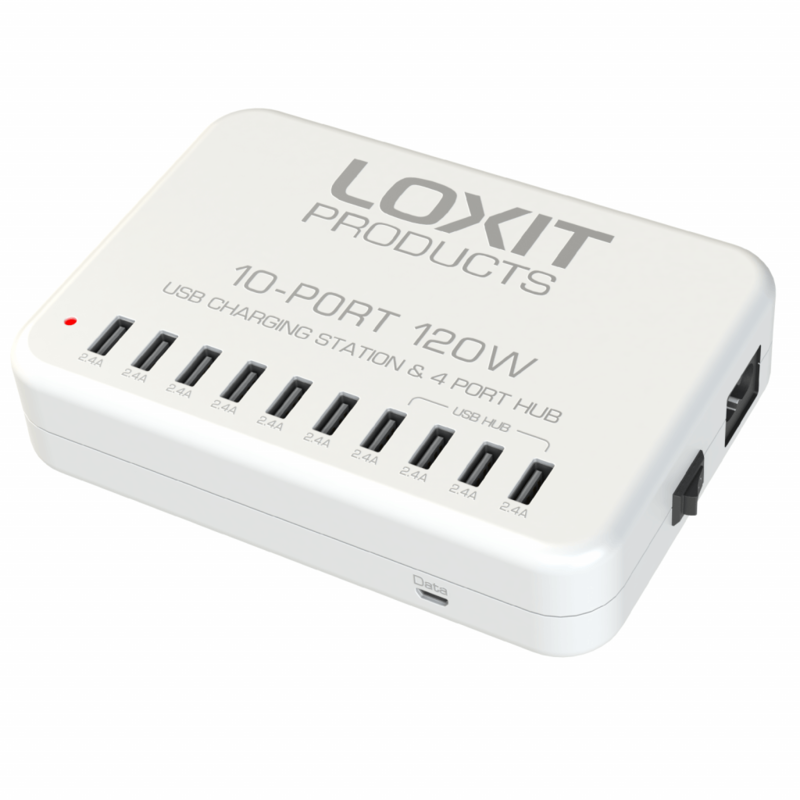 Charges up to 10 USB chargeable devices simultaneously up to 2.4A per port. Includes 4 ports which also sync data, such as syncing iPads or iPhones with Apple iTunes or photos from digital cameras etc. 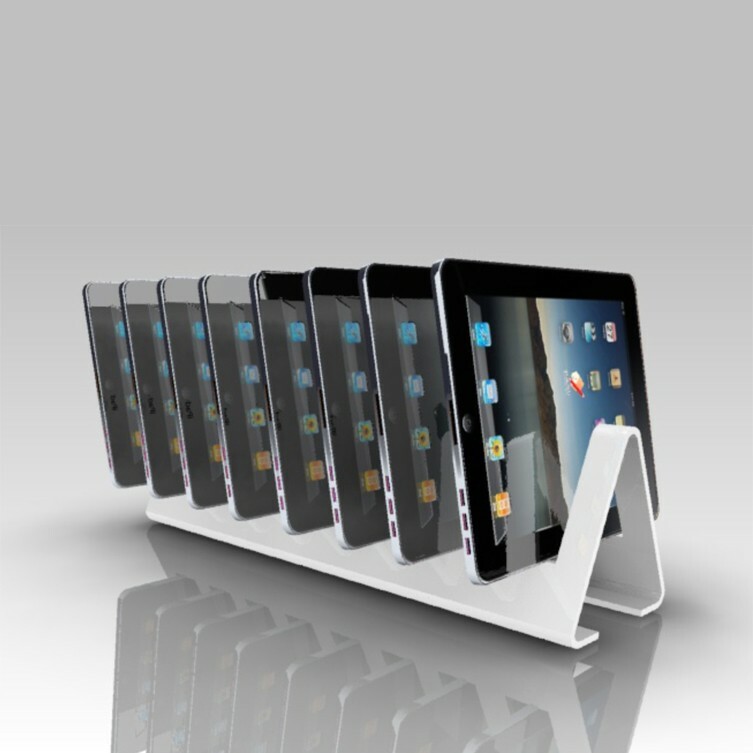 Perfect for the home and office environments where multiple devices are being charged and sync is occasionally required. Owning and managing multiple devices can become a messy business. With so many chargers, not enough plug sockets and tangled adapter cables, life can get cluttered pretty quickly. 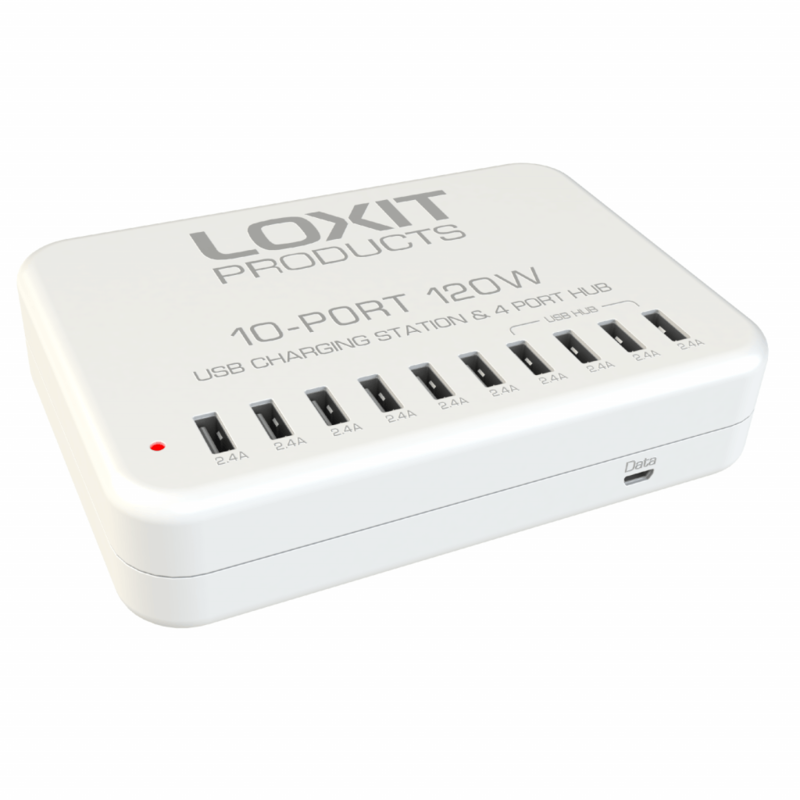 Loxit’s universal 10 Port Charging Station delivers full rate of charge for USB chargeable devices. 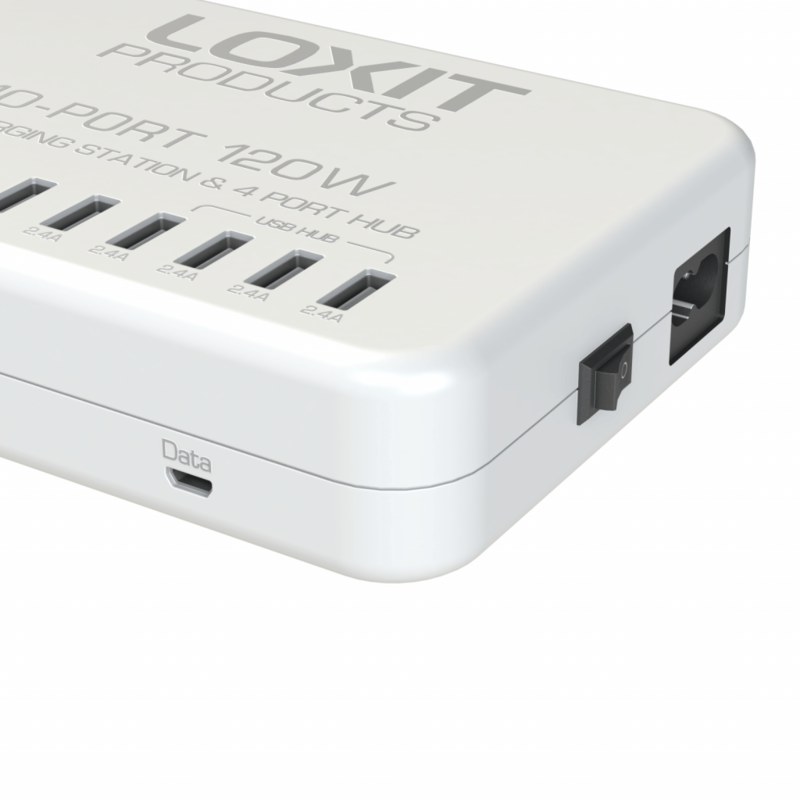 Free up your space and plug sockets whilst keeping your area tidy and safe with Loxit’s 10 port universal USB charger. 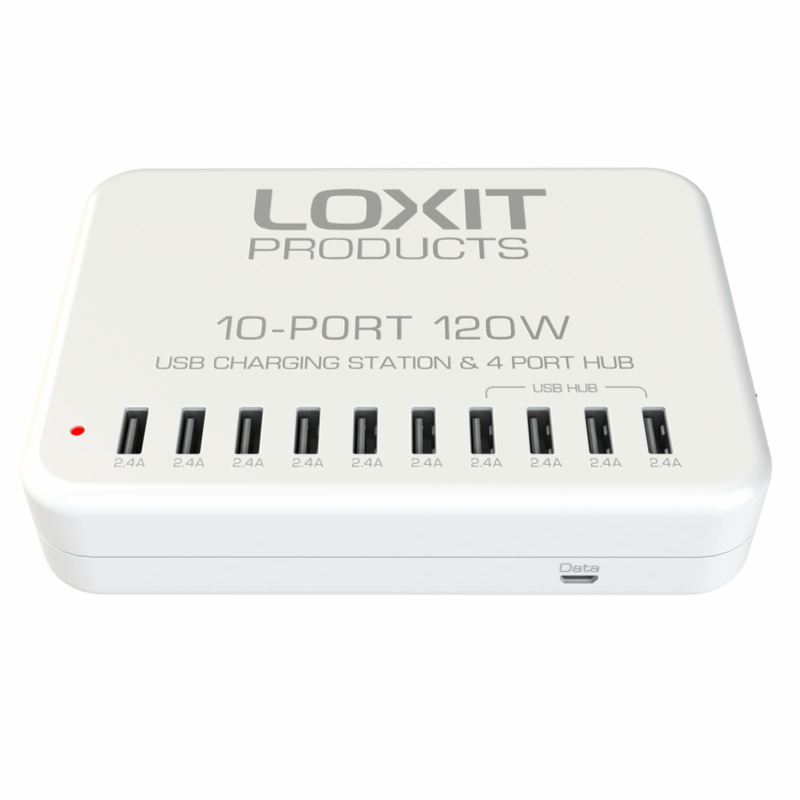 The 10 Port USB charger is perfect for charging and syncing up to 4 devices for example iPads, alongside iPhones, iPods etc. at the same time.